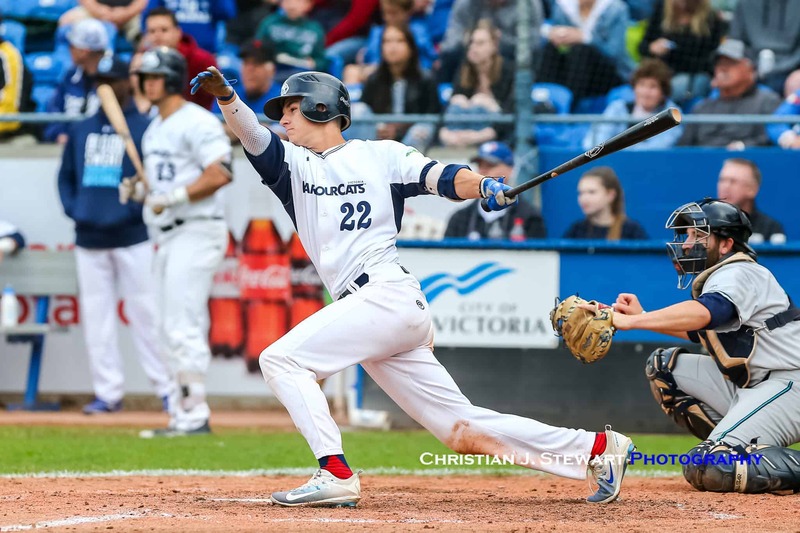 June 22, 2018 – In the most important home series of the season thus far, the Victoria HarbourCats (9-7) brought the Bellingham Bells (13-6) eight-game win streak to a halt with a 6-5 victory Friday evening at Wilson’s Group Stadium at Royal Athletic Park. 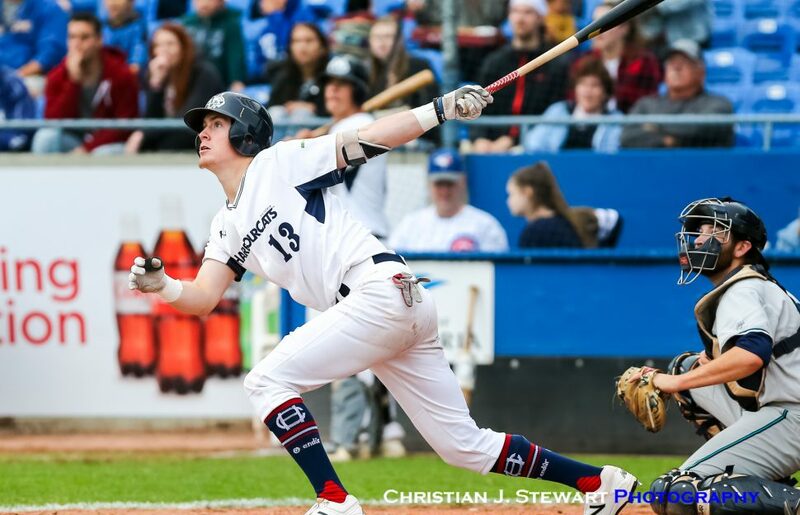 With the wind blowing hard out to centre field, sluggers Jack Smith (Washington State) and Jeddediah Fagg (Georgia Southern) powered the HarbourCats to their ninth win of the season. Fagg got the Victoria scoring started in the home half of the first with a RBI double, and in the next at-bat, Smith collected his first home run of the season to triple the HarbourCat lead to 3-0. Righty Cade Brown (San Diego) got the call from Head Coach Brain McRae, who recently along with General Manager Brad Norris-Jones signed a multi-year contract extension, for the series opener against Bellingham. The division leading Bells got two runs back in the top half of the second behind a pair of RBI singles, which ended the night early for Brown. The University of San Diego product finished with two walks, two earned runs given up in only two innings pitched. As the game carried on, the wind blowing off the Pacific Ocean picked up strength and made the ball jump out of the yard. Fagg capitalized on the blustery conditions smacking a 1-0 pitch over the left-centre fence to double up the lead for the HarbourCats 4-2 in the third. In the top of the fifth the Bells used the wind to inch them closer to Victoria. 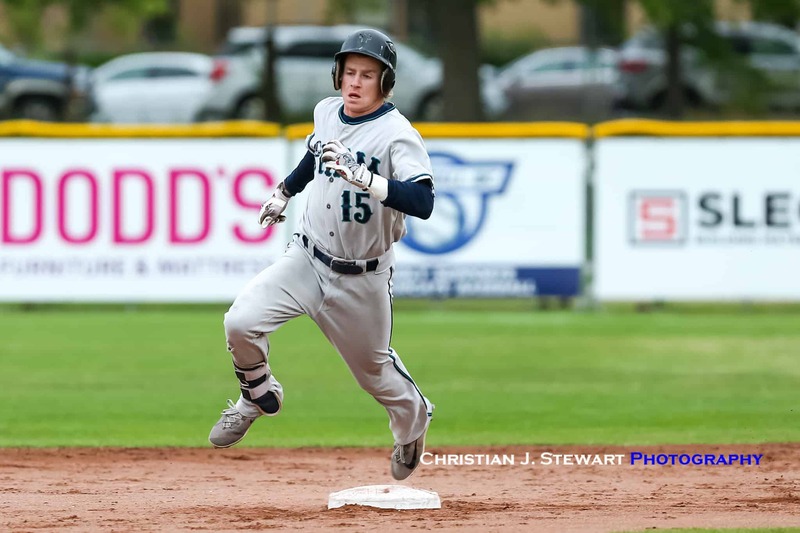 Grant Holman hit a deep sac-fly to cut the the HarbourCat lead to one, and Zach Needham smacked his second home run of the season in the next at-bat to tie the game at four. 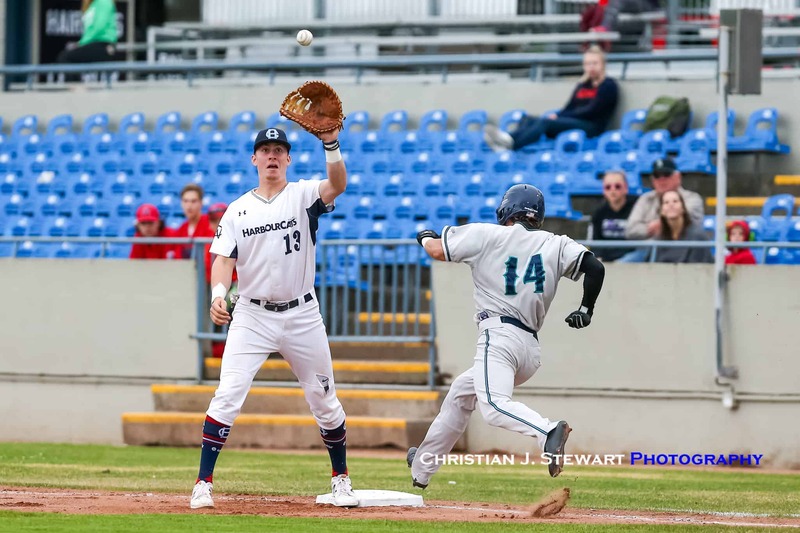 Victoria native Jason Willow (UC Santa Barbara) joined in the long-ball action in the fifth by going over the fence for his first home run as a HarbourCat to give Victoria a 5-4 lead. After Brown exited in the third, reliever Owen Sharts (Nevada) put together four quality innings, allowing two earned runs, while racking up six strikeouts and two walks to give Victoria a chance to upend the Bells. 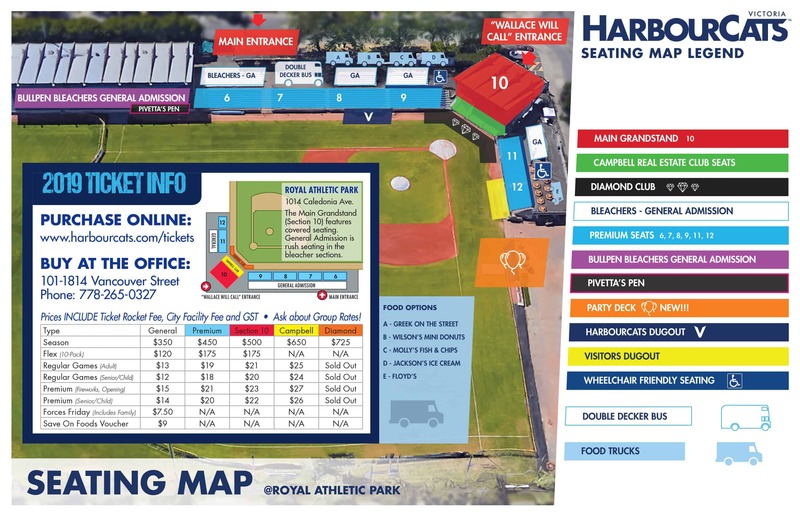 The HarbourCats supported their bullpen with a insurance run in the bottom half of the sixth, as Nick Plaia (Cal Baptist) scored Michael Malinchak (Pepperdine) with a RBI single to increase the lead to 6-4. A duo out of the bullpen, Landon Anderson and Nathan Walker, were able to hold the Bells to no hits over two innings, setting the stage for closer Ping-Chun Ho who brought some late-inning drama to the park. 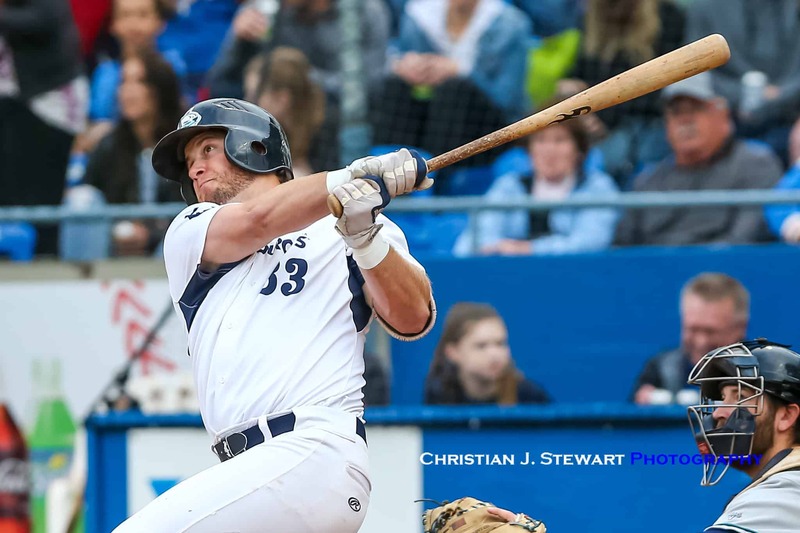 Ho yielded two walks and a single in the inning to bring the Bells within one run, but managed to escape the threat by securing three consecutive outs to bring home the victory for the HarbourCats. 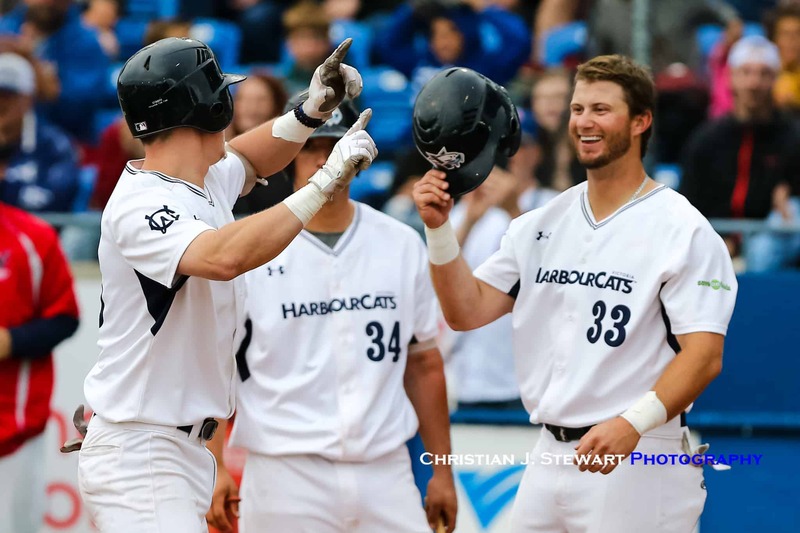 The win brought the HarbourCats to within 2.5 games of the Bells for first place in the WCL North, and with the First Half Season coming to a close on July 4, the victory was crucial to bring the ‘Cats to within striking division of a First Half pennant and postseason spot. 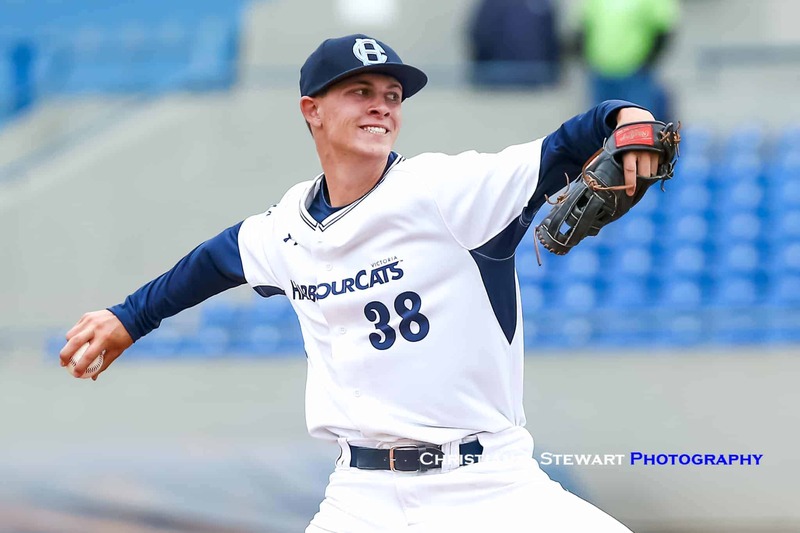 The Bells and ‘Cats will renew hostilities tomorrow night at 6:35pm, with Garrett Goodall (Embry-Riddle) scheduled to make his third start of the season.